When Dr. Sherry Darabi became a dentist in 2010, having a private practice in Orange was not immediately part of the plan. A Canyon High School and UC Irvine graduate, she landed a full-time job with the nonprofit Family Healthcare Network in Orosi, a small community in the San Joaquin Valley about 35 miles southeast of Fresno. Darabi’s clients were mostly farmworkers and their families. But things changed after Darabi and her husband, Michael Escobedo (no relation to the publisher of the Old Towne Orange Plaza Review), had a baby about 18 months ago. Looking for a better work-life balance, Darabi started shopping for an established dental practice —and found one in Old Towne. Dr. Jay Kwon, who at the time was commuting from Glendale, wanted to work closer to home, providing Darabi with the perfect business opportunity. She opened Glassell Dental in May. Situated in a vintage home that was already artfully renovated, and within walking distance of Chapman University, Glassell Dental handles a range of procedures, including complete exams and cleanings, up to full-mouth restorations. Invisalign and whitening treatments are also available. Most PPO insurance plans are accepted, but not HMOs. Darabi has about 600 active patients, nearly all of them previously seen by Kwon, who was working part time. She wants to expand the business and is welcoming new patients. 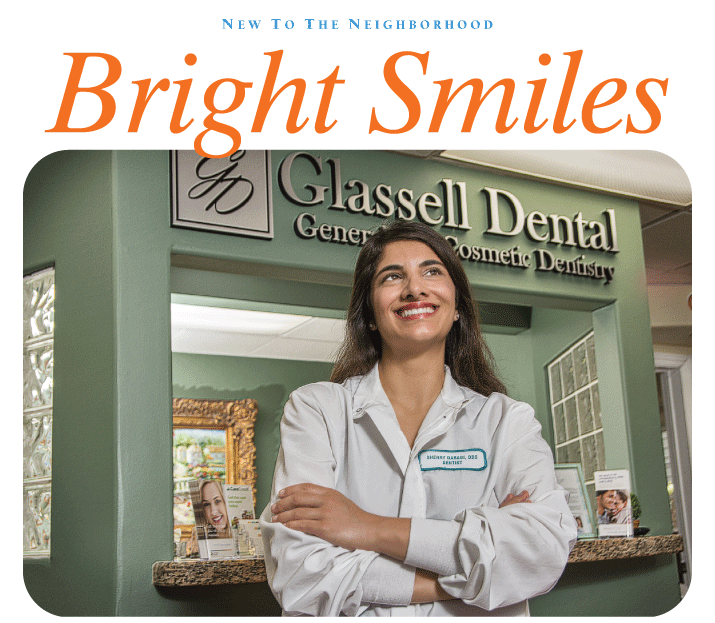 And while Darabi admits that being a first-time business owner has its challenges, she says the team at Glassell Dental is helping realize her dream.